Year: 1910 Item #: 126 Views: 3,142 Comments: No Comments. Black and Brown. 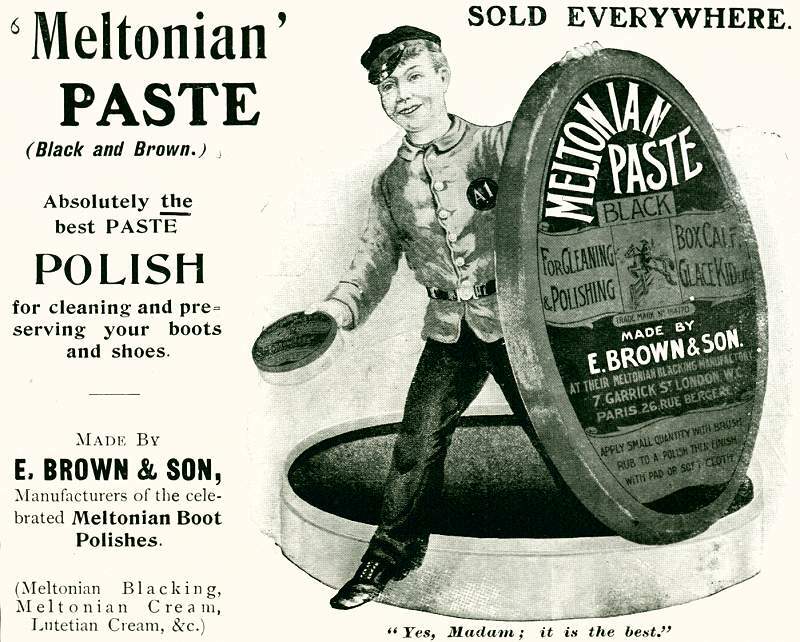 Absolutely the best paste polish for cleaning and preserving your boots and shoes. Sold Everywhere.